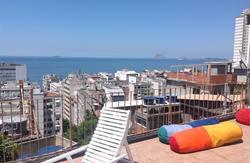 The best Hostel of Copacabana! The best location and the funniest Staff! We guarantee that you stay very well and meet people. We have shared bedrooms 100% equipped with A/C. Services and facilities for an unforgettable moment: Amazing full breakfast included, internet and computers with Wi-Fi, transfers, excursions and tourist information service, and always with the best care from our staff! Insuperable location!! One of the most competed places in Rio de Janeiro, Itâ€™s only two blocks away from the beach and one block away from the subway (Cardeal Arcoverde station). We are surrounded by banks, supermarkets, drugstores, currency exchange, business and near to the main touristic spots and partiesfrom the city. Next to everything that you are looking for to have some unique vacations! Che Lagarto Hostel Copacabana is ideal to have fun making new friends, and exchanging travel tips and of course, having unforgettable experiences with people from around the world in one of our many common areas. It features a shared kitchen, a terrace and a fun bar that generates a chill out environment among the guests. To make your stay complete, we offer transfer services and excursions so you enjoy this city the most. And as always, the Che Lagarto Hostels team expects to give you tourist information and expert advice. Come live an unforgettable experience! 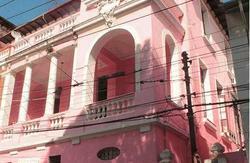 - Excursions: City Tour; Favela Tour. -	100 % payment in advance is required. -	If the reservation is canceled 30 or more days before the check-in date, only 70% of the booking value will be refunded. -	If the reservation is canceled between 29 and 15 days before check-in date, only 50% of the booking value will be refunded. -	If the reservation is canceled 15 days before to the check-in, or less, there will be no refund of the booking value. - Our prices are set in USD. The exchange rate to local currency used is not the official daily one, because of the market variation. The exchange rate used is established by CheLagarto, the exchange rate shown on the website can change. Please contact us for more information. - We accept Visa and Mastercard. From International Airport: You can hire a TRANSFER through the hostel reception. Another option is to take the bus 2018 (by way of Orla da Zona Sul) and get off at Atlantic Avenue 1500, in front of the hotel Porto Bay, corner of Duvivier street. 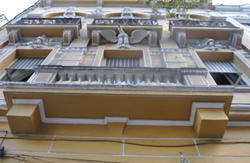 Walk down the Duvivier street, about 3 blocks, to Barata Ribeiro street, 111 where we are. 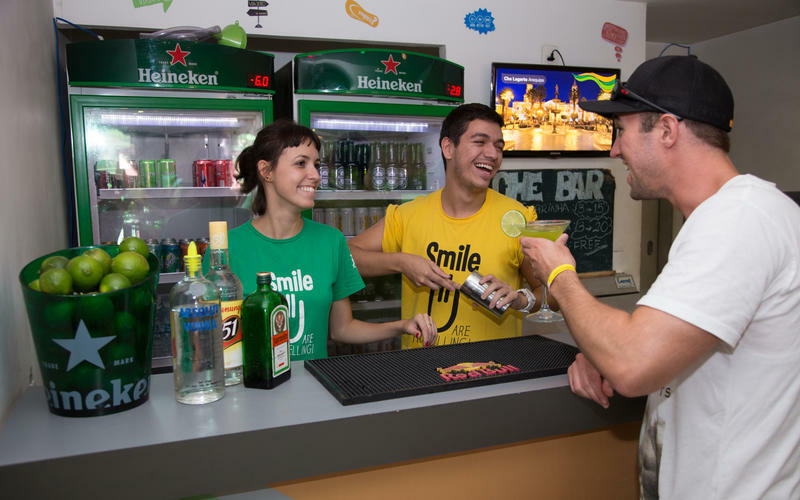 From Santos Dumont Airport: You can hire a TRANSFER through the hostel reception. Another option is to take the Bus number 415, number 413 or number 474 in Copacabana direction and get off at Barata Ribeiro street, 111 our hostel. From the bus terminal (Rodoviaria Novo Rio): You can hire a TRANSFER through the hostel reception. Another option is to take the Bus number 126, number 127 or number 128 to the Arcoverde metro station, one block from the hostel.